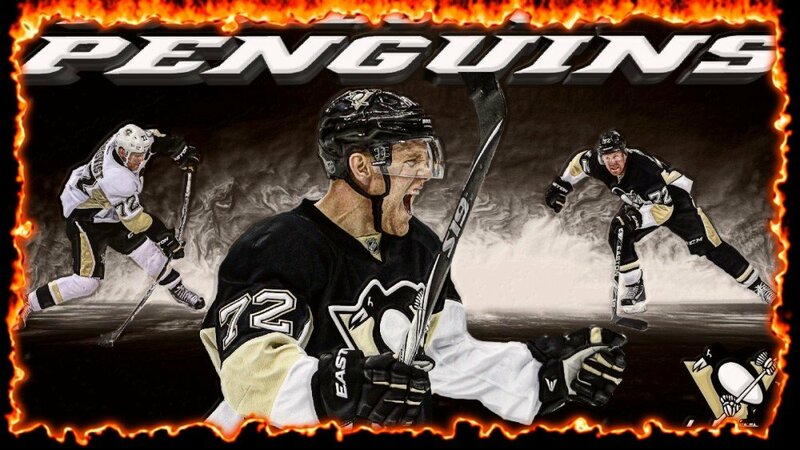 Instead of "From Russia with Love", when speaking about winger, Patric Hornqvist, it's more like "From Sweden with Fire". And by "fire" I mean raw passion. A deep, sincere, almost animalistic passion and love for the game of hockey. This is what he brought to the Penguins when he was acquired in the James Neal trade. The Penguin fan nation all but rioted when news of the trade broke (yes, even me- I will admit it). Everyone loved Neal and change makes everyone in this fan base lose their mind when you get attached to someone as...viseral...as James Neal. YOU CAN ALL CALM DOWN! Our "passion player" has emerged! While Neal-er is a likeable guy and indeed, a great hockey player, I cannot talk up "Horny" enough. As a general hockey fan, how can you not? When fans were talking of trading him, all I could think was "Are you insane?" The sight of Hornqvist slamming his fists into the crossbar in protest during the "turn around" game against Detroit (December 31st, 2015) made the dream a reality. Hornqvist was lit and there is no extinguisher large enough to douse those flames. It was in that moment that I (and I'm sure many others) saw what had been missing from the bench for quite some time- a fresh spark. I knew from that moment on, the team itself was going to be different. He currently has 25 goals on the season and not one, but two hat tricks (one regular season, one in the playoffs). A team leader in puck possession quickly explains how this season has turned into his is his 6th straight at being a plus-20 goal scorer. He not only builds up the teams score and scoring chances, he builds their moral with his tenacity and gritty play. He may not have the same "flair for the dramatic" goal scoring ability that some other top-6 wingers in the NHL possess, but Hornqvist makes up for it with his sheer physical strength and his dynamic ability to not only block shots (54 by my last stats check) but also create and win loose pucks for scoring opportunities. Those opportunities are usually capitalized on while being right where goalies hate having him...down in the crease. That is where Hornqvist makes his living. You can always count on him to be right there, waiting for that rebound or that lose puck he can deflect into the net. If he isn't scoring, he is aiding his team as a screen to block the goalies view, or raising a commotion by getting into the face of one of the opposing teams players. As the other player fumes with anger and frustration, Patric will add insult to injury by laughing and smiling at them on his way back to the bench...or sometimes the penalty box. Commenters, coaches and analysts alike always talk about "puck luck". How that little rubber disk can just seem to have a life and mind of its own. It can work for you and against you. 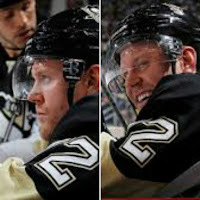 Puck luck seems to hit Hornqvist more like a sack of bricks. He recorded his first career hat trick on February 29th against the Coyotes (after 488 games and 18 straight 2-goal games- to say he was "due for it" would be a vast understatement). He then got another this past week, his first PLAYOFF hat trick, in Game 1 of the playoff series against the Rangers. Hornqvist had a 4-point night. The last Penguin to do that...was James Neal in 2013 (surprise, surprise). Since the second half the second half of the season began, he has 13 goals and 21 assists and has been an integral part of the resurgence and resurrection of the Penguins season. I think Head Coach, Mike Sullivan, put it best when asked about the "Captain of the Swedish Bikini Team*". When it comes to Patric Hornqvist, he is "...a pain in the neck for opponents". Fans could not agree with that description more. He doesn't stop.He can take a hit and isn't scared to throw a few of his own. He plays till the whistle and gives his all 100% and then comes back for more. Call it chemistry, call it passion, call it raw emotion, call it whatever you like- trying to replace it had been a looming problem for the Penguins. Many were worried that it would never be found again but thankfully it has. Patric Hornqvist has us all feelin' some kind of (good) way and I am not complaining one bit about it. In the endless debate of "Who Would You Rather Have...?" I am not sorry to say, I am Team Horny(qvist) all the way. *A special shout out to Jody (@jlhorn33) for the slick reference and description she coined for our Swedish studs. Much love to you!